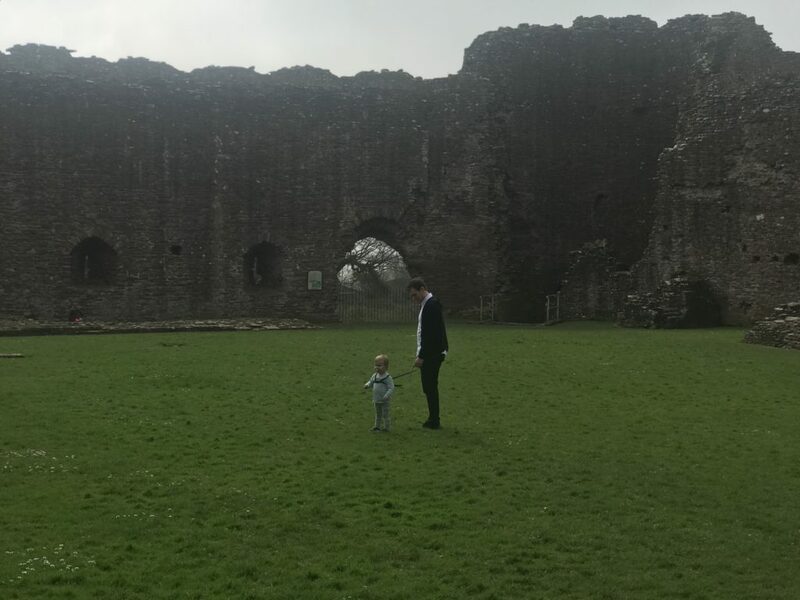 This past weekend the three of us jumped in the car and headed down to Hereford where we had booked an Airbnb for the weekend. 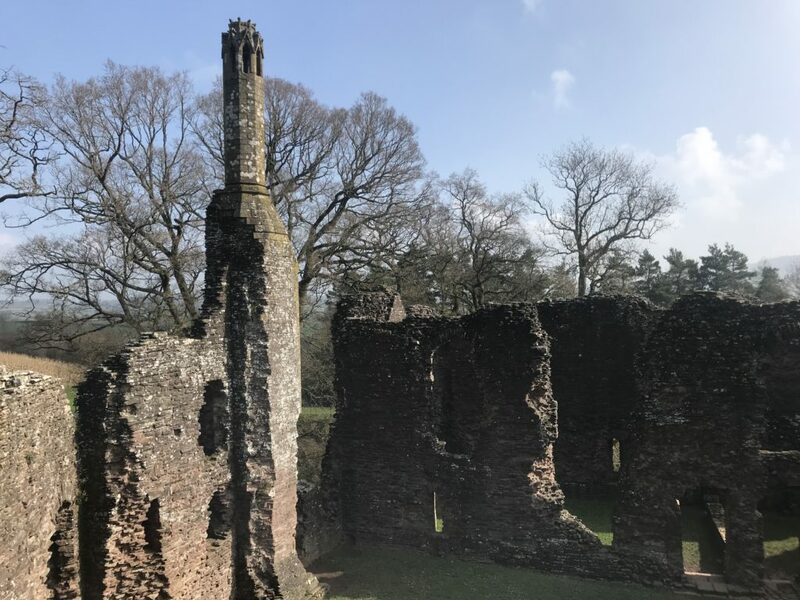 I love this area of the country which is right on the border of England and Wales and comes with its own special culture of medieval towns, historic castles and old pubs. We stayed just outside of Hereford in a two bedroom apartment perfect for the three of us. We used it as a base to sleep in mainly, but it was great we had the facilities to cook if we needed to. We arrived on Friday evening at 8pm after the three hour journey from Liverpool. This part of the country is a little difficult to get to from our neck of the woods because there is no motorway access and it is A roads the whole way, which is fine until you are stuck behind a lorry or worse, a tractor. 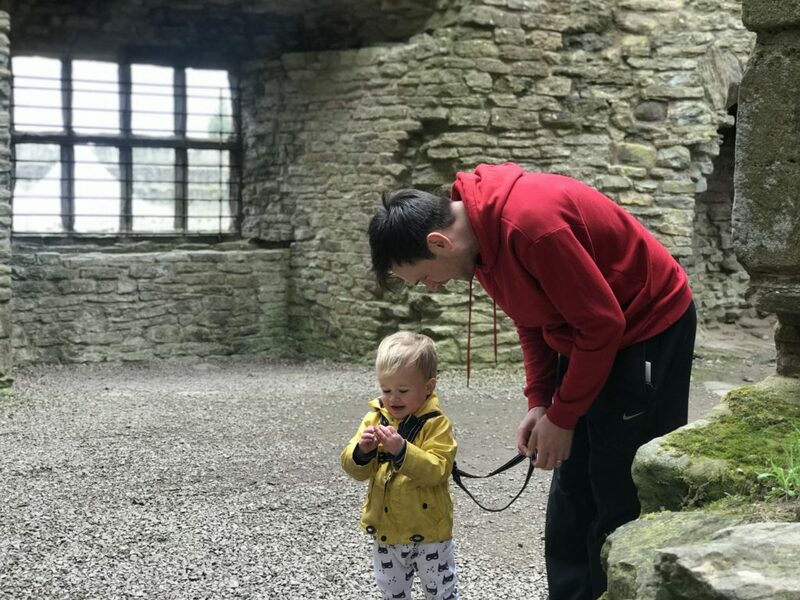 We had a very early night and woke up bright and breezy the next morning ready to explore. 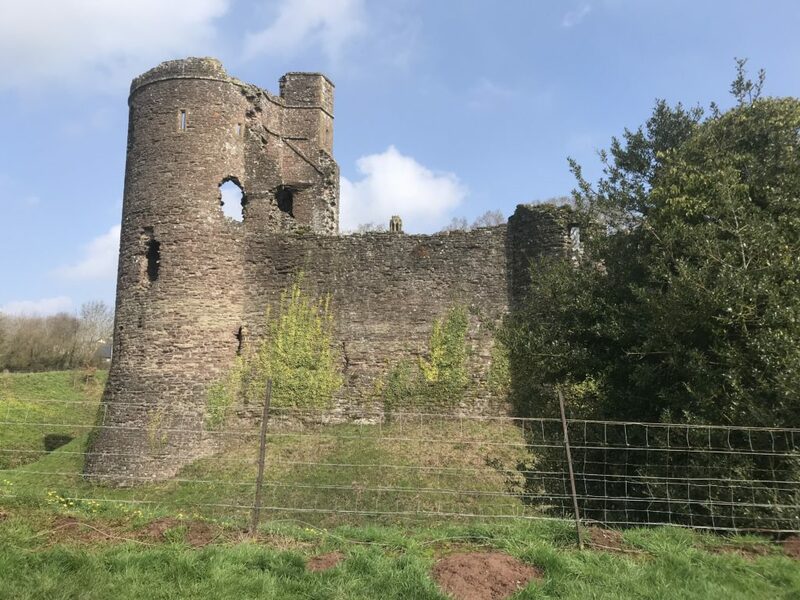 We hopped into the car and drove for twenty minutes to Grosmont which is a very small village just outside of Abergavenny in the county of Monmouthshire in Wales. The sun was shining and the village was packed with cars and pedestrians which I found strange until I realised the church was hosting a market which was bringing people from mikes around. We entered the cool nave of the church which was a welcome break from the blazing sun and were met by many stalls, a band singing Walk Like An Egyptian and the smell of delicious food. We wandered around for a short time before heading up to the castle. 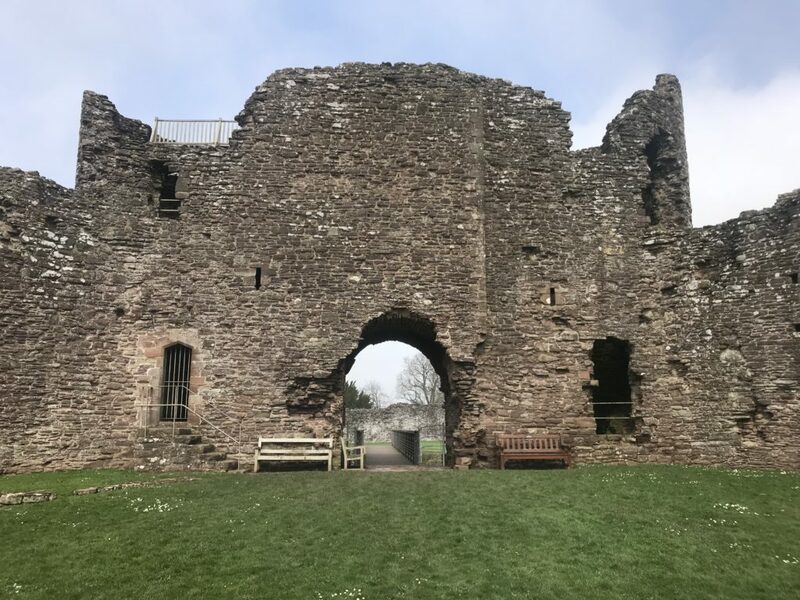 Grosmont Castle is situated over a bridge which goes over what used to be the moat. 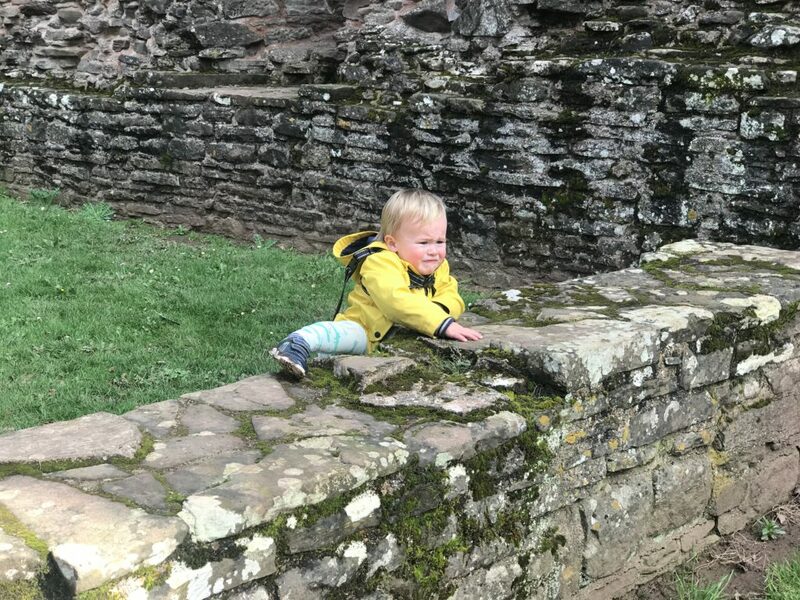 It is possible to climb to the top of one of the wall for a great view of the surrounding countryside, but I wouldn’t recommend this to the faint hearted. 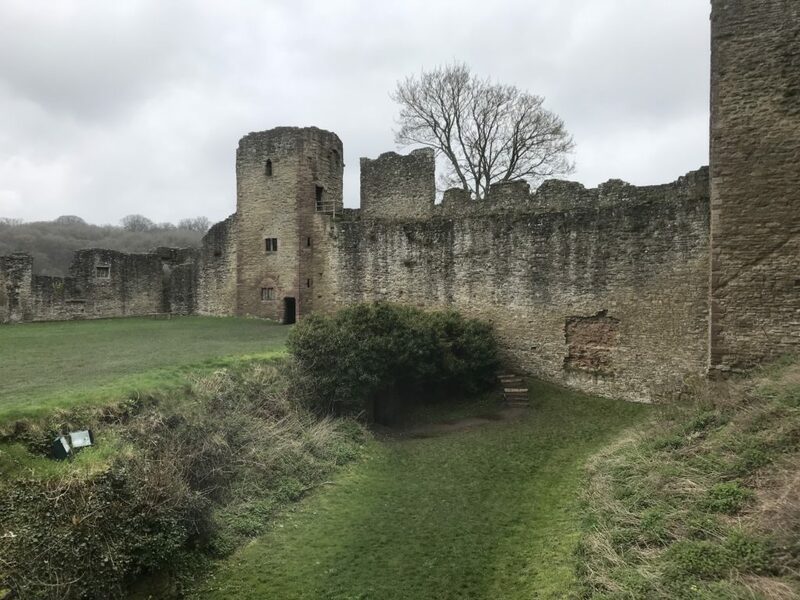 Grosmont Castle is one of three castles in the area and we decided to head to White Castle which is a bit closer to Abergavenny and again is accessed via a bridge which goes over a moat. 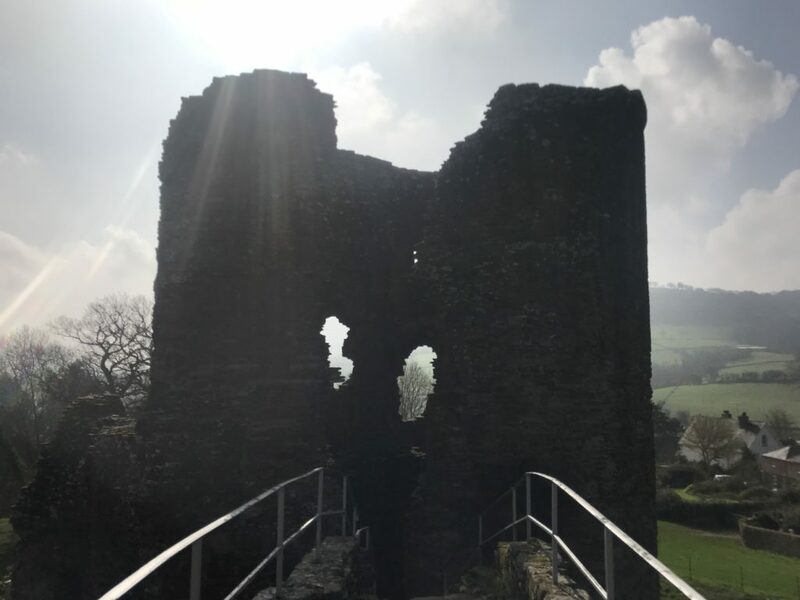 This castle is much more preserved than Grosmont although I couldn’t find a way to climb the walls. The atmosphere is gorgeous inside though and really reminded me of being in my hone town of Denbigh. 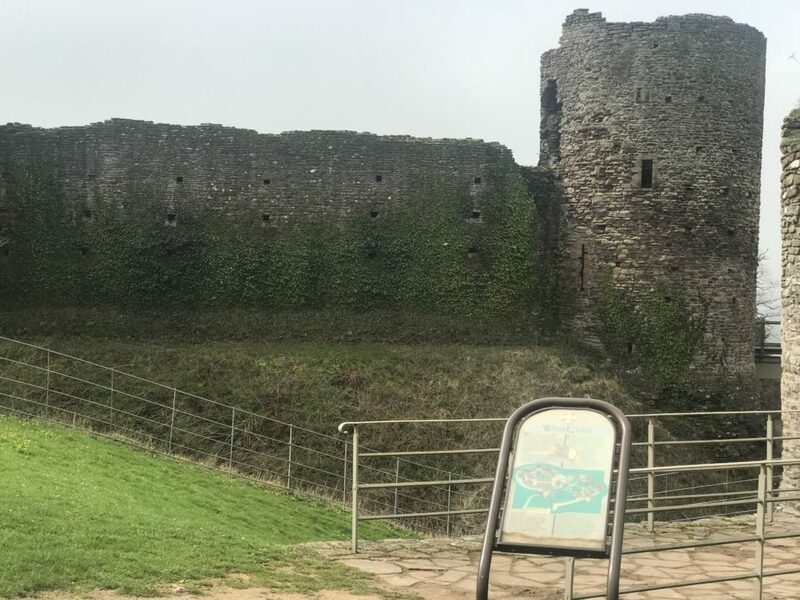 Both castles were free to enter and are maintained by Cadw. As the day wore on, we grew hungry and so headed into Abergavenny to grab some lunch. I was really impressed with how bustling this town was with lots of shops, a market and many pubs and restaurants to choose from. We settled on the Kings Arms where we had a delicious lunch and Dex was catered for really well. I had the lamb cawl (when in Wales…) which was delicious. Dexter was more than in need of a nap so we drove the nineteen miles to Hay-on-Wye which is famous for its literary festival and many bookshops. Once again I was really impressed with how busy the town was and there was a great atmosphere with an old man with a beard playing a pipe and people dancing while enjoying their coffees and ice creams. It really felt like we were on holiday. Unfortunately it was time to head back to Hereford so Dex could get something to eat and go to bed but what a cracking day it was! We woke early again on the Sunday and knew we had to be in Shrewsbury for 2pm for Neil’s race. 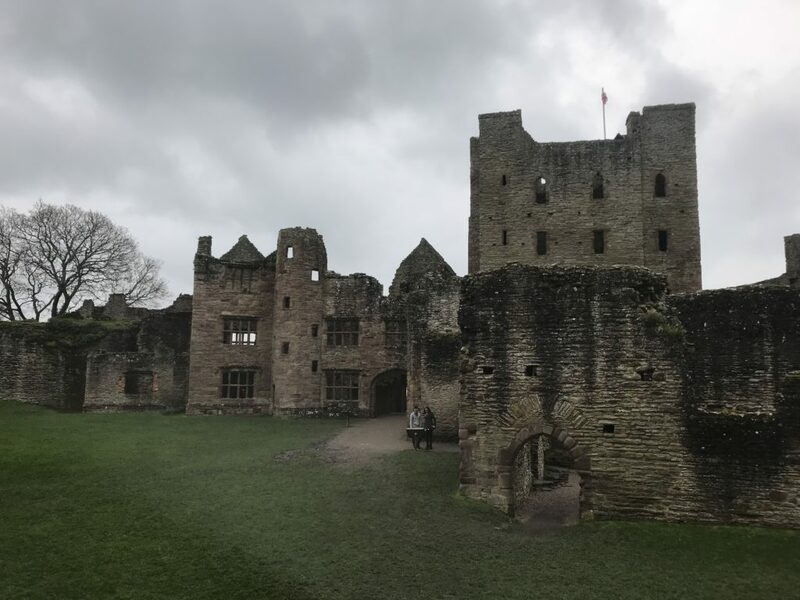 The weather was a bit miserable and we debated having a wander around Hereford or making our way back up north towards Shrewsbury and seeing what we stumbled across. Boy, I’m glad we chose the latter. 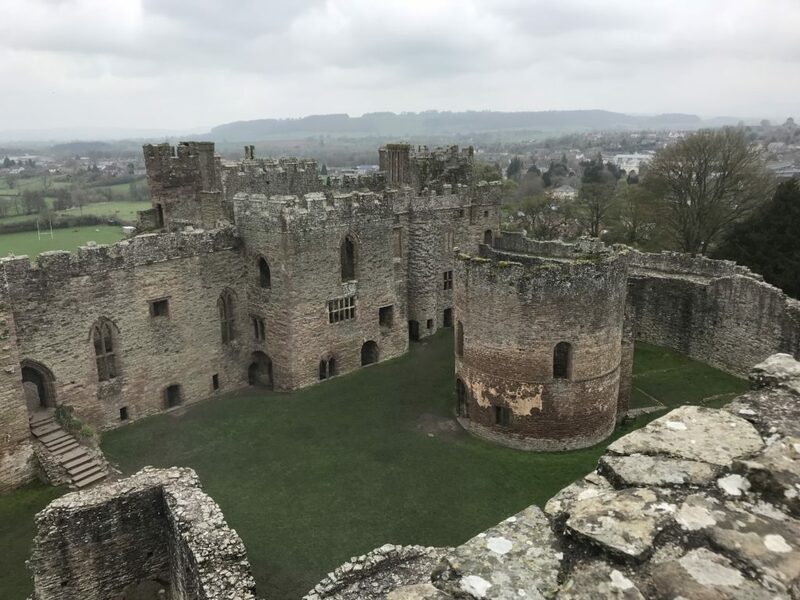 Unfortunately we didn’t have much time at all in Ludlow as we had to press on to get to Neil’s race but it is definitely somewhere we will return to soon. The sloping streets once again reminded me of Vale Street in Denbigh which of course is also a medieval town. I couldn’t keep up with the number of blue plaques and we have yet to explore the Town Hall and the church. It was such an amazing weekend away together as a family and really can’t wait to do something similar together soon. If you get he chance to visit Herefordshire, Shropshire or Monmouthshire in the future, take it up, you won’t be disappointed. 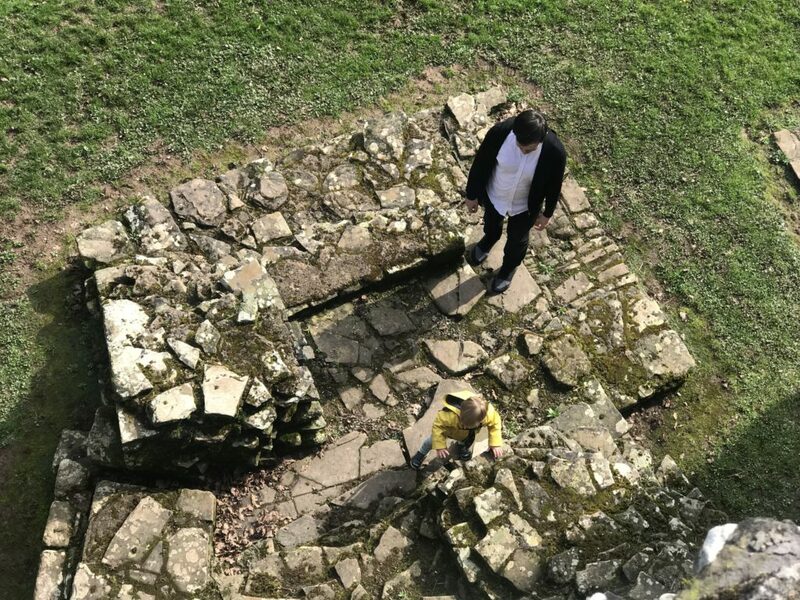 Looks like a lovely weekend away – love that photo of Dex trying to getting up onto the castle ruins! !